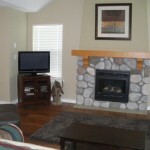 Looking for a peaceful getaway but with lots to do then the Cottages at Cultus Lake is the place for you. Brand new luxury cottage with all the amenities are waiting for you. 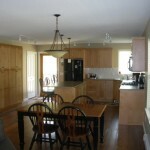 The cottage itself is completely furnished with all appliances and sits across from a grove of tall cedars. 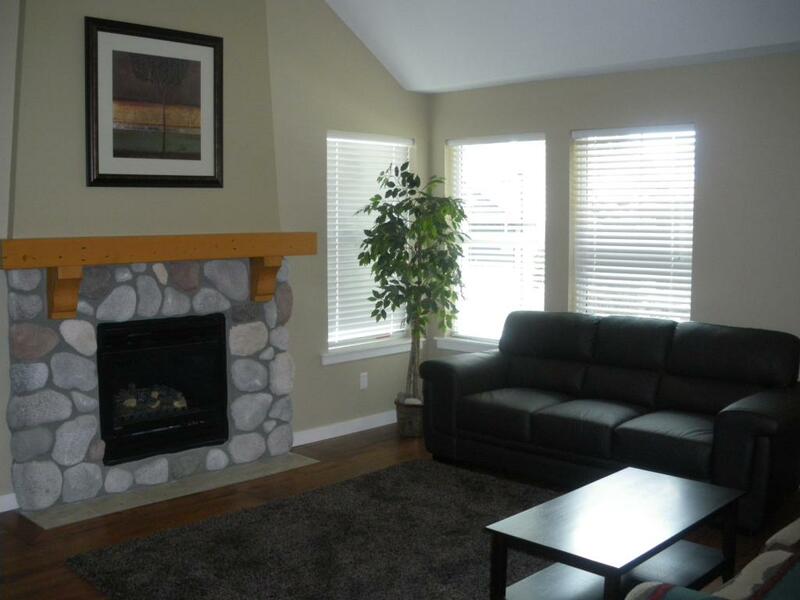 Sit on the outside veranda or the back deck and enjoy the Mountain views or the view of the grove. Walk a few feet and enjoy a campfire in the fire pit. If that’s not enough walk down to the 5 million dollar clubhouse that has a big screen TV with black leather recliners set up in a theatre atmosphere or go upstairs and play poker, shuffleboard or various other games. Worried about your daily workout…don’t be. Enjoy full use of the Fitness Centre. For kids this is a great place. There is a playground, kids pool, kids hot tub and a creek to throw rocks in. The club house also features an adult only pool and hot tub. 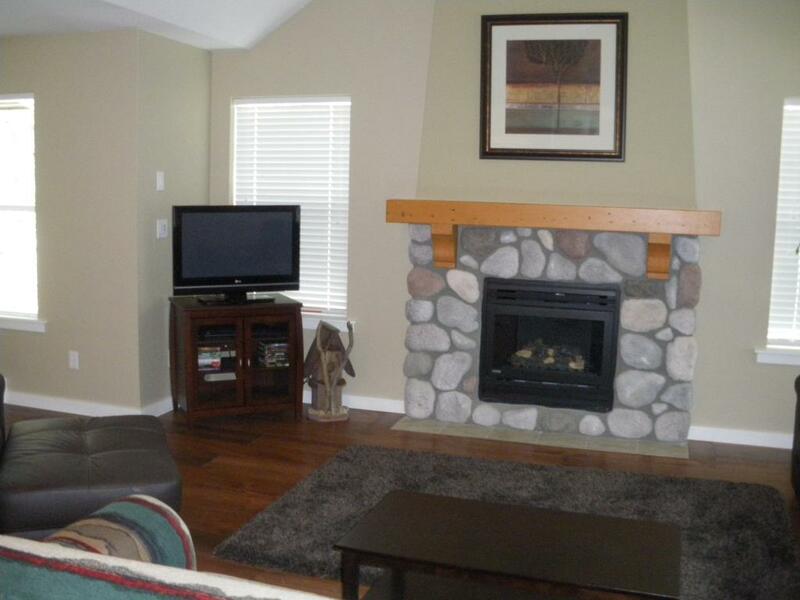 Situated right beside a golf course and 10 min walk from the lake. There is lots to do so come and explore the possibilities. 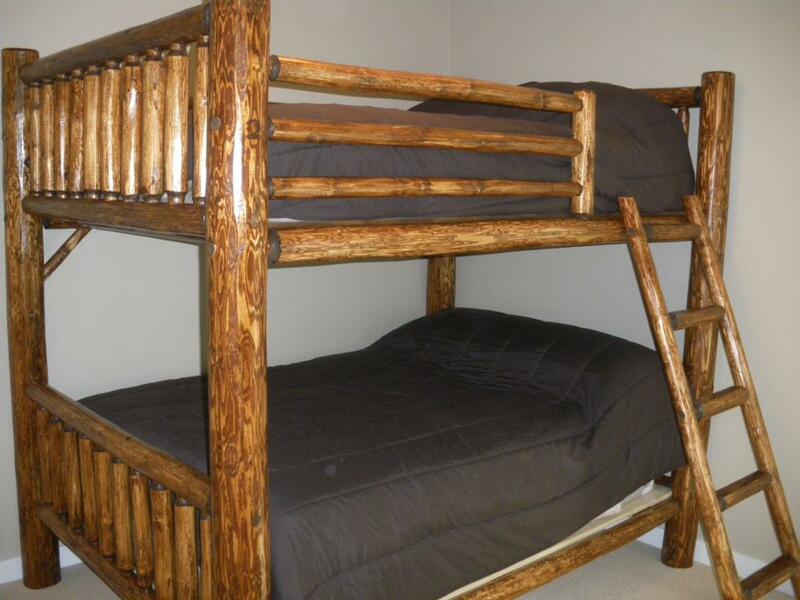 The Cottage is 2 bedrooms, 2 bathrooms with a great room design and has beds for 8 people. – Plates, Dishes, Pots, Pans, Utensils, Glasses Etc. 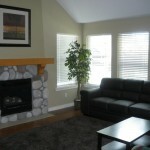 Please email mulberry@cultuscottages.com for rates and availability, or call Natalie on (604) 574-7941. Note: Unless your booking is confirmed with a deposit, rates are subject to change. Please read our policies before booking to make sure our rental is a good fit for your vacation needs. 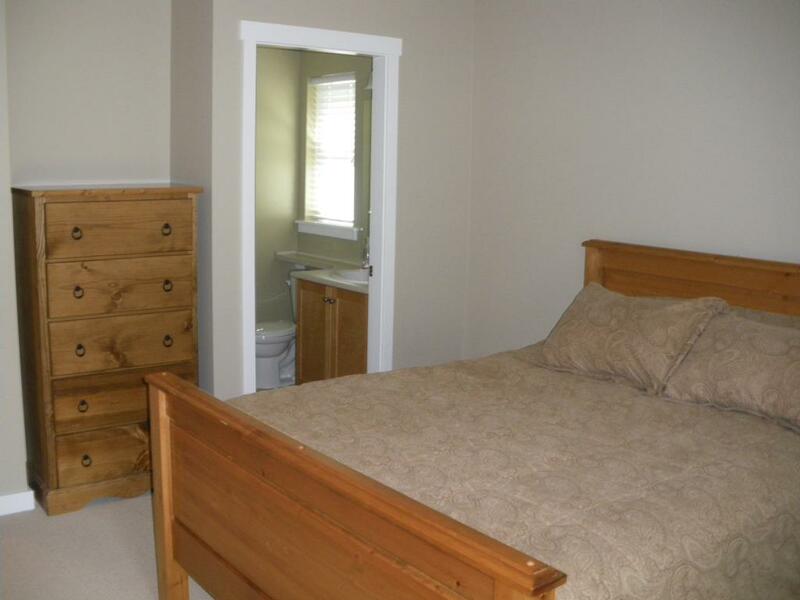 – Security deposit is immediately refundable once the cottage has been cleaned and inspected. We reserve the right to apply the security deposit to cover any losses, unnecessary housekeeping or damages sustained to the Cottage or its contents during your stay. – Please bring extra linens for extended stays as there is no daily maid service. 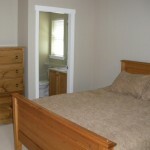 Housekeeping is provided prior to arrival and after departure. – The cottage owners are responsible for taking care of the landscaping, cutting the grass, etc. 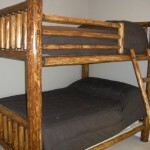 Consequently, there may be caretakers coming and going to undertake these tasks during your stay. – Guests are asked to be quiet between the times of 11:00 PM and 8:00 AM as some people live in the resort. Guests may be asked to leave immediately if there are any noise complaints made by other residents. – Renter agrees to clean cabin as per list of reasonable tasks such as loading the dishwasher. – We reserve the right to charge for any losses, unnecessary housekeeping or content damages sustained to the Cottage during your stay. – All Guests and their invitees use the premise, structure, appliances and furnishings at their own risk. Property Owners shall not be held liable or responsible in anyway for any injury that is caused by intentional or unintentional acts. 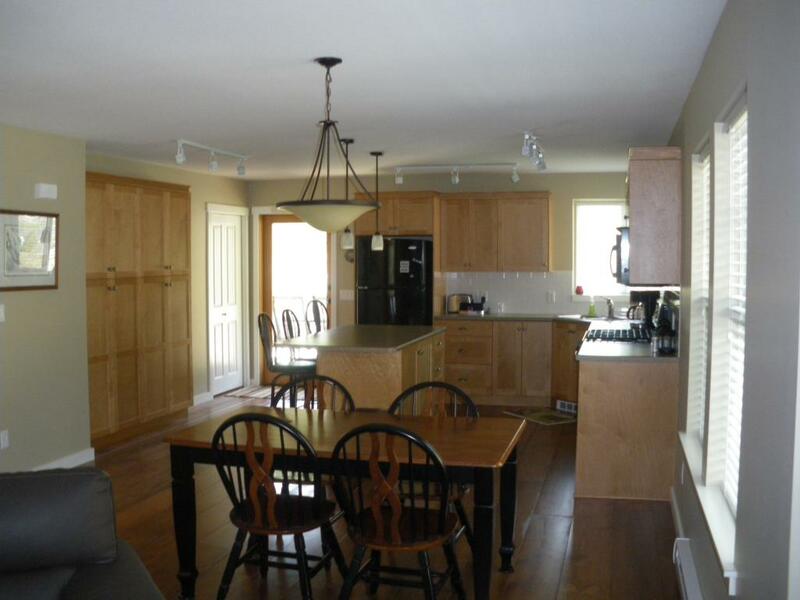 – Please note: 14 day rental period in effect and max occupancy of 8, call for more details. This property and accompanying resort amenities will ensure you have an amazing and unforgettable vacation.